The banking sector has been experiencing growth as a result of improving credit quality from post-GFC recovery. As a small-cap bank with a market capitalisation of US$4.0b, Bank OZK’s (NASDAQ:OZK) profit and value are directly affected by economic growth. This is because borrowers’ demand for, and ability to repay, their loans depend on the stability of their salaries and interest rates. Risk associated with repayment is measured by bad debt which is written off as an expense, impacting Bank OZK’s bottom line. Since the level of risky assets held by the bank impacts the attractiveness of it as an investment, I will take you through three metrics that are insightful proxies for risk. How Good Is Bank OZK At Forecasting Its Risks? Bank OZK’s forecasting and provisioning accuracy for its bad loans indicates it has a strong understanding of its own risk levels. If the level of provisioning covers 100% or more of the actual bad debt expense the bank writes off, then the bank may be relatively accurate and prudent in its bad debt provisioning. With a non-performing loan allowance to non-performing loan ratio of 294.18%, the bank has extremely over-provisioned by 194.18% compared to the industry-average. We wonder if this might indicate the bank is expecting to incur further non-performing loans in the near future. 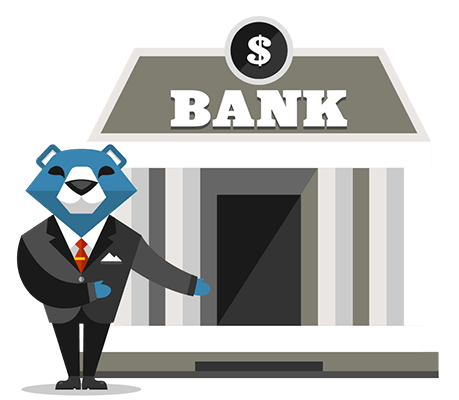 Bank OZK is considered to be in better financial shape if it does not engage in overly risky lending practices. So what constitutes as overly risk? Generally, loans that are “bad” and cannot be recovered by the bank should make up less than 3% of its total loans. Bad debt is written off as expenses when loans are not repaid which directly impacts Bank OZK’s bottom line. The bank’s bad debt only makes up a very small 0.20% to total debt which suggests the bank either has strict risk management – or its loans haven’t started going bad yet. How Big Is Bank OZK’s Safety Net? Bank OZK profits from lending out its various forms of borrowings and charging interest rates. Deposits from customers tend to carry the lowest risk due to the relatively stable interest rate and amount available. As a rule, a bank is considered less risky if it holds a higher level of deposits. Since Bank OZK’s total deposit to total liabilities is very high at 96% which is well-above the prudent level of 50% for banks, Bank OZK may be too cautious with its level of deposits and has plenty of headroom to take on risker forms of liability. OZK’s acquisition will impact the business moving forward. Keep an eye on how this decision plays out in the future, especially on its financial health and earnings growth. Below, I’ve listed three fundamental areas on Simply Wall St’s dashboard for a quick visualization on current trends for OZK. I’ve also used this site as a source of data for my article. Future Outlook: What are well-informed industry analysts predicting for OZK’s future growth? Take a look at our free research report of analyst consensus for OZK’s outlook. Valuation: What is OZK worth today? Has the future growth potential already been factored into the price? The intrinsic value infographic in our free research report helps visualize whether OZK is currently mispriced by the market. Is Laboratory Corporation of America Holdings's (NYSE:LH) CEO Salary Justified? Is Lazard Ltd's (NYSE:LAZ) CEO Paid Enough Relative To Peers?